I know you will never forget the sale of our house Terri ( or us ). Over the last 3 years its been a pleasure to know you and although we have moved overseas now its with fond memories of you. We hired you to sell our beautiful house in the Santa Cruz mountains but because of the economy and timing our price was impossible to get. You did everything over and above the call of duty to find buyers and if circumstances had been different I am sure it would have been straightforward. It proved to be anything but! Over the year or two you worked tirelessly to market our home and we were very impressed with your attention to detail and optimism when many times I got very despondent. Even when we took our home off the market you stayed with us as a friend and didn't make us feel uncomfortable about it. I know others have spoken about your constant diligence and willingness to listen but it's all true. You many times went to great lengths to make sure the little things that were important to me got attended to. Unfortunately because of circumstances our house had to go to short sale and Terri was with us every step of the way. Between the Title office and Realtors it was up there with one of the hardest short sales they have done. Terri kept everyone in the loop and it was with her perseverance that it finally, after many hiccups came together. Right up until the end before I flew out Terri even offered to take my son and I to the airport and I felt she didn't abandon us after the house sale was completed. ( Go out and make yourself an amazing day!). It goes without saying we would highly recommend you to anyone. "Terri was extremely thorough in her analysis of the current market conditions and worked tirelessly to market our home. We enjoyed every step of the process and would work with Terri again when buying or selling a home”"
"“I hired Terri to handle the sale of my house in San Jose. She was amazing! Always very professional, she had in-depth knowledge of the area, and put together a great marketing plan to sell my house. If I still lived in the area, I would definitely use her. She's awesome!”"
"Hi Terri, Needless to say we are very pleased that the house closed. Thank you so much for all of your hard work on this house sale. We are very impressed with you and will certainly recommend to any one we know who is selling a house. " "Hi Terri, Michelle and I would also like to express our great thanks to you for helping us sell our home! You've been very very helpful and a pleasure to work with through the entire transaction. We both appreciate how you've kept us updated and stayed on top of everything. We know you're busy and have other clients, but your attention, detail and organization really made us feel like your entire focus was for us. If we ever decide to move, we'll definitely ask for your help again, and without a doubt will recommend your real estate services to others. Thanks!" "Terri, Just wanted to thank you for your excellent handling of our home purchase. We are very happy with your service would recommend you to anyone. Best Regards,"
"To anyone reading this, Terri Vellios is the BEST realtor in the world (no exaggeration either). She helped us though the stress of buying one house while selling another late last year (yes - the worst time to be doing either...). We could NEVER have done it without HER. We are so blessed to know Terri and will always be grateful to her."" "I'm impressed with you... in 3 days you have done more than agents would do in 3 months.... I love the web page ... I love the "coming soon" on your web page ... I love the Craigs List....WOW, I'm very impressed. If we dont sell...it wont be because you didnt do everything possible....we are very proud to have you as our agent....Things have gone so smoothly and we truly appreciate your hard work. The house will be fantastic for the video tour....you have my word. Have a fantastic weekend. And, anything you need, please dont worry about my ego or my feelings or my pride ... 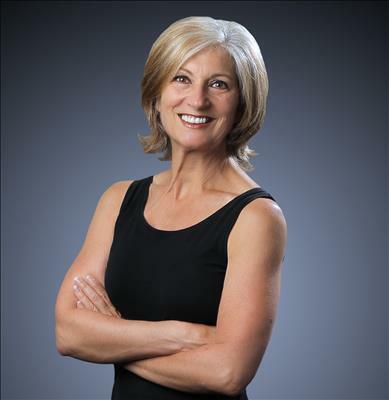 I can take it from you -- I know you have our best interest always utmost in your actions...."
"To Whom It May Concern, Terri Vellios was the listing agent for two of our properties in Campbell. My husband and I had interviewed several top Realtors before choosing Terri, but the first time I met Terri I knew that I would use her, because I felt immediately comfortable with her and she was very knowledgeable, straightforward and professional in every way. After working with her on two listings and over several months, I have found Terri to be honest, reliable, and sincere and her whole focus is on working with you and your needs. In the course of working with Terri, I was continually impressed by her optimistic attitude and also by her attention to detail and her wonderful communication skills. Working with Terri has truly been the best experience that I have had in dealing with agents, as I have bought and sold many homes and have always had some issues with the agents. I am sorry to say that I really had very little faith in Real Estate agents at all. But that was not so with Terri. She just always surprised me by her consistent diligence and willingness to listen to things that were important to me and then to go to great lengths to accommodate. She always put our needs first and never once did I feel that she had her own agenda or that she tried to pressure us. Even when with one of our homes we decided to take it off the market due to very difficult market issues, Terri was completely gracious and never made us feel uncomfortable. I can honestly say that I will continue to work with Terri Vellios as “Our Agent for Life”, for as long as she continues to sell property. She is a consummate professional and I admire her very much. I am also more than happy to be used as a reference if anyone would ever like to speak to me. Sincere Regards,"
Terri, I will happily recommend you to anyone looking for an agent. And after we have moved in (and planted the palm you gave us) I hope you will stop by and say hello. Just a note to thank you for all your help in my house hunt. You did a perfect job in finding me the perfect place. I'm in love with my place! Thank you for all the hand holding, phone calls, and e-mails. You were always so on top of it. I want you to know I appreciate everything you've done for me. It was really great working with you selling and then buying both my houses. Your help and advice was always right. Thanks for listening and caring and for the great website. I appreciate it all. I'm happy I got to know you. You know when you have this slight motivation to do something, you have the resources to back it up but you don't actually do it for fear of the unknown or the stresses of figuring things out? Okay, probably not exactly that feeling :P but if you felt close to it like I did, you need that someone to guide you on the right path. You don't want someone pushy, you don't want someone aggressive. You want someone who will give it to you straight, a clear picture as to what you're getting into, an answer to every question you have. Terri gave me what I needed to make my American dream come true and I'm having a blast these last six months finally feeling like I did something with my life. I hope many others find Terri as valuable a real estate resource as I did. Terri was an amazing partner and I'm not sure we could have gotten through this purchase without her. From our first conversation with her all the way through the warm welcome she gave as she ushered us in to our new home, Terri was the consummate professional. She used her extensive experience on our complex purchase, and made the entire process smooth. Terri gave us excellent advice from the first offer through negotiations, and project managed all the details so we didn't have to. I cannot recommend Terri highly enough; she is the only Realtor I'd ever recommend and the only one I'd use again. The absolute best Realtor I have had so far, and I have bought and sold a lot of homes.She stays on top of everything and gives her prompt attention to every detail of the buying process from paperwork, to questions, returning calls, getting inspections, estimates and any possible thing you could possible want in a Realtor and does it with a wonderful personality, and not at all pushy. She is just GREAT!!!! and I recommend her highly. Terri was absolutely awesome - my husband and I were first time home buyers so we had many questions; Terri answered them in a way that we completely understood. After telling her what we were looking for, the homes that she showed us were what we were looking for and she was very patient with us. Couldn't have went with a better professional - we will be sure to call her again when we are ready for an upgrade and when our friends start thinking homes, we are quick to suggest Terri!